• We provide a free consultation undertaken by Dr Pinar Akman who has trained in advanced aesthetics procedures. • We only use market-leading fillers exclusively formulated for this area. • We can make the treatment as pain free as possible by applying anaesthesia cream to numb the area for client comfort. • Our medical practitioner will take her time with each and every client to ensure she creates the results you are looking for. • Our medical practitioner uses most up to date and innovative methods to redefine the volume to ensure a natural look, whilst reducing wrinkles. • We provide a free follow up review to ensure you are completely happy with the treatment. • There is no obligation to have a treatment, you may wish to go away and think about it or you may wish to time the treatment in order to fit in with other events in your life. Nose to mouth lines or folds are one of the earliest signs of facial aging that make a person feel that their face no longer looks fresh and young. These lines also called the nasal labial fold line, run from the corner of the nostril of the nose down to the corner of the mouth and begin to show usually in our thirties or forties. Smiling makes these lines look deeper. As we age, the cheek skin falls down or drapes over the nasal labial line to cre- ate a fold, making the face look tired. This procedure is also known as the ‘fill in facial’ or ‘liquid facelift’; it adds lasting volume to your skin, giving you a rejuvenated look. Before the treatment starts our medical practitioner will apply anaesthetic cream to numb the area, once you are nice and numb she will place tiny needles under the skin to remove those unwanted indentations. This normally takes 30 minutes. Results can be seen immediately. Make up can be applied after the procedure and treatment lasts from 9 months to about a year. Traditionally treatments have revolved around fading creams, cryotherapy (liquid nitrogen) and chemical peels. When successful, they can sometimes leave behind a white patch which may be more obvious than the original problem. Newer treatments such as lasers and IPL’s are much more specific. The light is able to specifically target the pigment and destroy it. This is done gently, so that not all pigment in the area is affected, and the background colour is preserved. Although laser treatment is a fantastic method to remove pigments, it is not always the best choice and this is where the traditional methods are best utilised. The Defyne Team at our Preston Clinic has the experience and skills to recommend a bespoke treatment package for you that may include Tebiskin Lightening Cream, ZO Obagi medical / Health skin care products or Eneerpeel Peels. CAN THE TREATMENT VARY FROM PERSON TO PERSON? The procedure varies from person to person depending on your requirements and the severity of the nose to mouth lines that are being treated, in addition to the particular dermal filler being administered. WHAT DOWNTIME CAN I EXPECT? After treatment, you might have some swelling, redness, pain, bruising, or tenderness. 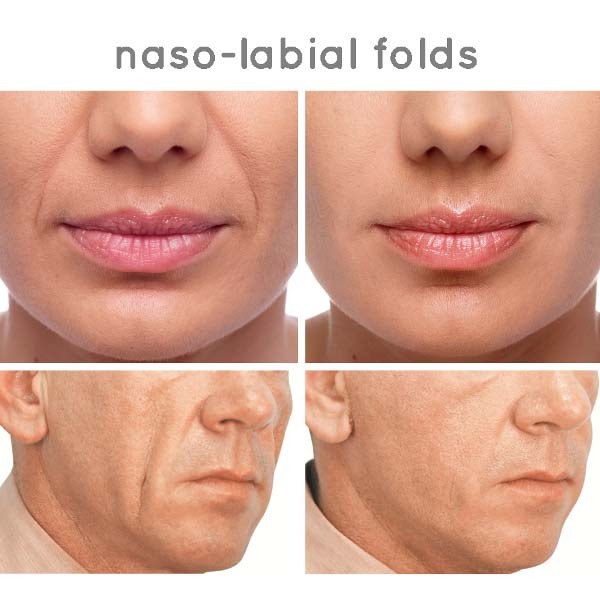 These are typically mild in severity and normally last less than 7 days in nasolabial folds and less than 14 – 18 days in lips. Swelling may be more likely in patients under 36 years, and bruising may be more likely in patients over 35 years. Minimal discomfort is expected during the treatment and no bruising should occur with the careful techniques used. Any mild bruising will usually resolve after 1 week. This area may feel mildly tender for the first 3 – 5 days. Side effects from this treatment are mild and usually include injection-related side effects such as slight redness and mild bruising or swelling. Generally, these side effects dissipate within a few hours or days. The treatment costs £250 per syringe. If you would like more every additional syringe will cost £180. Results typically last 12-18 months although the exact length of time will depend on the structure of your skin and other factors such as lifestyle, age and the degree of perfection demanded by the individual. Additional touch up treatments can be performed at any time after the initial treatment. MY FACE WAS SUNKEN AND GAUNT. I HAD MY CHEEKS VOLUMISED AND MY NOSE TO MOUTH LINES FILLED, THIS HAS GIVEN ME A FULLER AND SMOOTHER LOOK AGAIN.